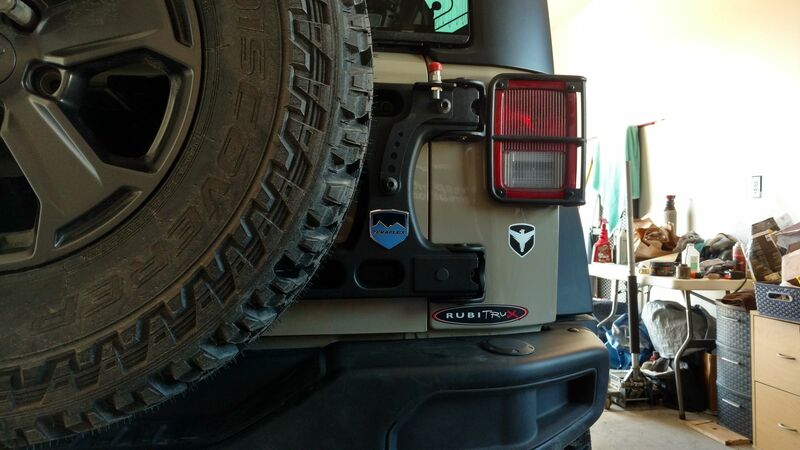 I'm looking for a CB mount that utilizes the open accessory holes on the Mopar Tailgate Reinforcement system that came on my 2017 Rubicon. I've tried to use the mounts that go behind the spare, but it seems most are made for the right side and don't account for the reinforcement systems , and if they are made for the left side, they don't take into account the hardtop and wipers (which they hit on trails). Seems logical to use the available accessory mounts on the tire tailgate reinforcement system, but I haven't found anything out there. Right now, I'm using a window mount antenna, which works, but isn't optimal. Anyone find anything that isn't custom? Isn't the Mopar tailgate piece actually just the Teraflex piece that's rebranded? Check it out and see if it will work for you. it will work. I am running one.